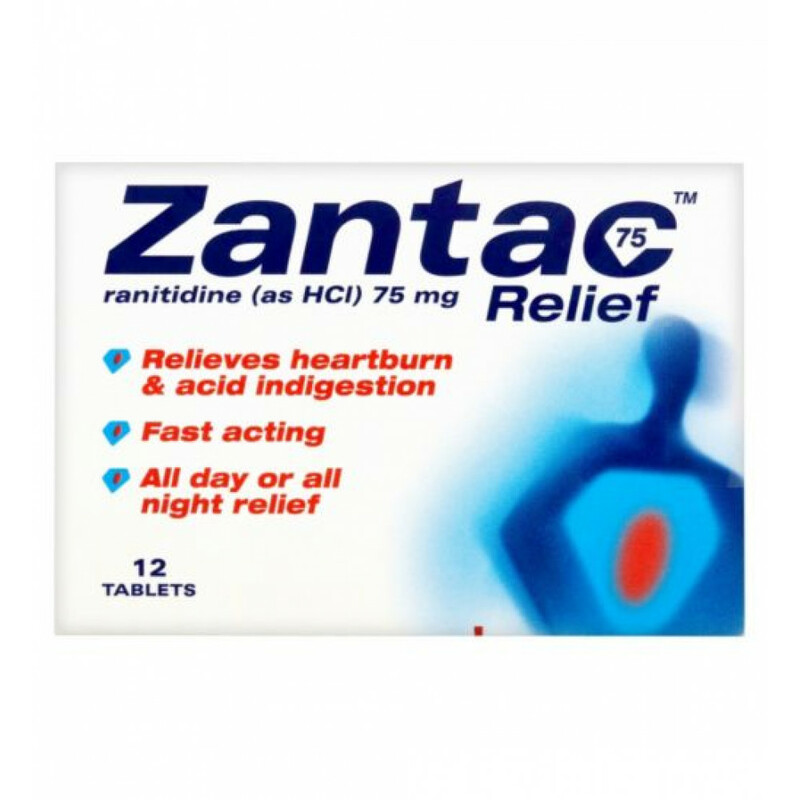 Zantac 75 Relief Tablets are indicated for symptomatic relief in indigestion and heartburn. It contains Ranitidine which is formulated to provide quick relief lasting up to twelve hours from the typical symptoms of these indications such as formation of wind and flatulence. Do not give the tablets to children below sixteen years except under medical supervision. Always read all instructions and labels carefully before use. Do not use if you are sensitive to any of the active or inactive ingredients. Do not use in patients with kidney or renal ailments. Pregnant and lactating women should consult a physician before taking this medication. Never exceed the maximum dose; talk to your doctor in case you have overdosed. 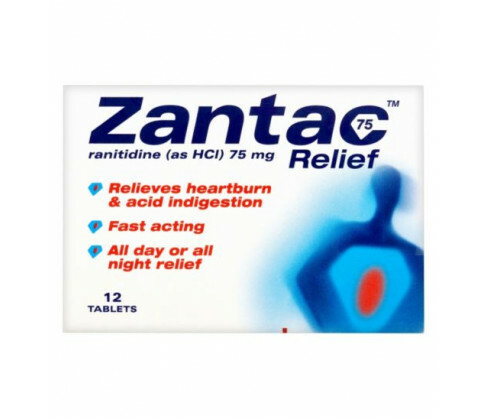 Zantac 75 can is recommended for use by the elderly, adults and children above sixteen years of age. The standard dose is one tablet taken at the onset of symptoms. You may repeat the dose after one hour in case symptoms don?t subside. The tablet should be swallowed whole along with water. The maximum dose is four tablets taken within twenty four hours. The formulation contains as active ingredient Ranitidine Hydrochloride 84mg (equivalent to Ranitidine 75mg). It also contains Triacetin, Microcrystalline Cellulose, Titanium Dioxide (E171), Magnesium Stearate, Hypromellose (E464) and Red Iron Oxide (E172) as the excipients.